Metropolis Drachen | HQ clamp split nock 6mm | Buy online now! 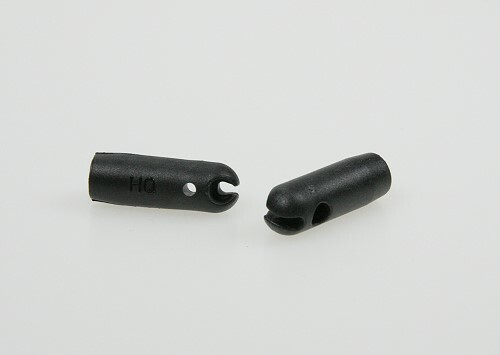 These split nocks of HQ have a clamp, which you can use to tighten the sail at the end of a rod. This split nock of HQ is very well suited forkites, whose leading edge will be disconnected for a smaller pack size. A secured with a knotted cord runs through the transverse hole and runs from the cap to a webbing loopflap at the bottom of the rod pocket and then pulled upward on the split nock. 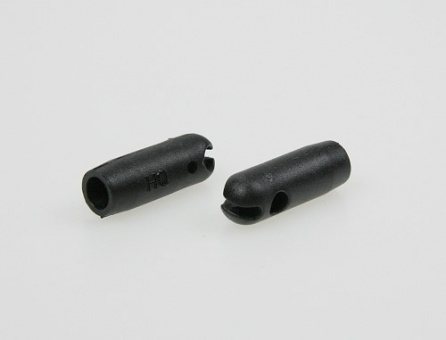 A prefabricated knot at the end of the cord prevents the cord from slipping through the splitting. Oftenfound at HQ kites, e.g. Bad Widow. 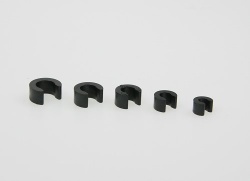 The leading edge connectors of KERSCH WINGS have an 45° angle, so the connectors fits perfectly. 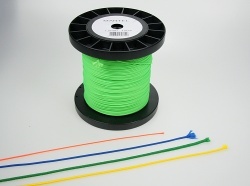 Sleeving lines are for protection for dyneema or kevlar lines. 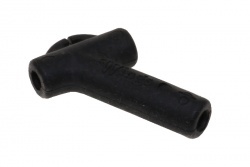 It protects the line from damages in the areas of knots or connections to other lines. 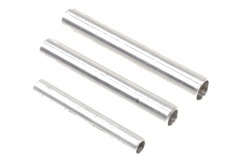 Aluminium sleeves are used for extend or connect rods together. Also helpful for reducing the pack size of a kite.